Get all your ducks in a row and get the whole community involved in your upcoming fundraiser! 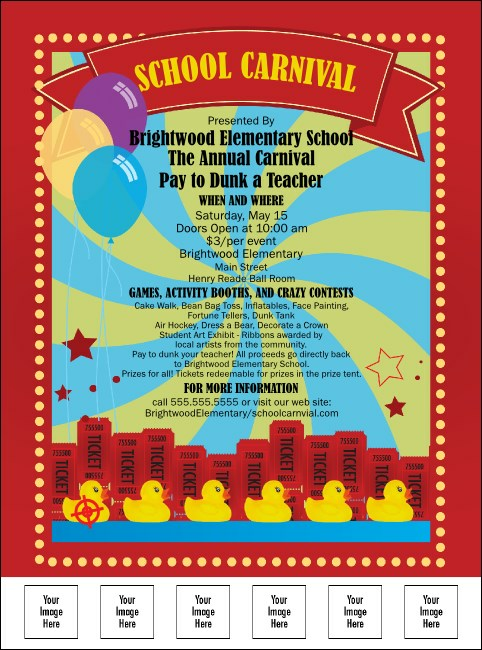 The School Carnival Flyer is a great way to advertise the games, prizes, and food your attendees want. Each features ducks, tickets, party balloons and space for you to upload six images of your own to the template. TicketPrinting.com has your biggest and smallest events covered with the perfect promotional materials.